Maggie (A461589) is a 10-years-young terrier mix looking for a new home! She loves to play with toys and will fetch a Frisbee like a pro! One of Maggie's favorite things to do is go for walks in the park. She's been known to jump up on the park bench to get in a snuggle with a volunteer. 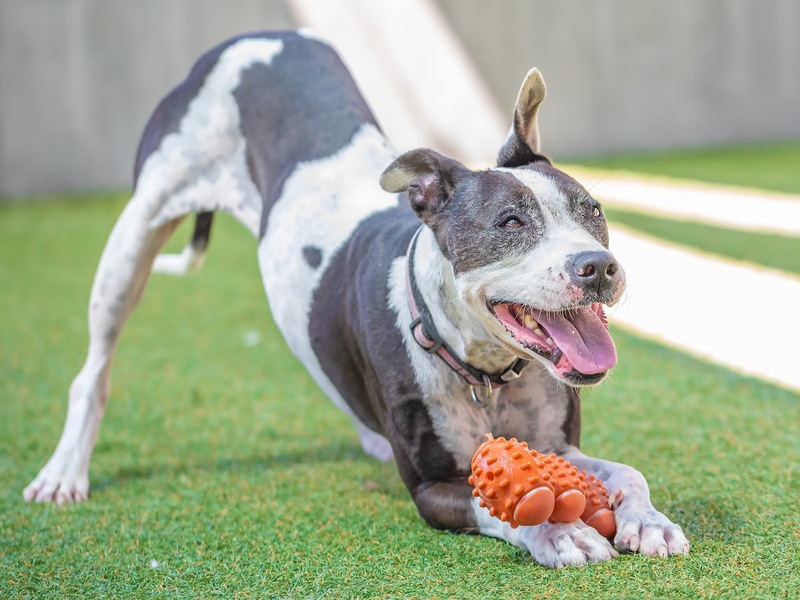 Maggie is a true volunteer favorite, and they say she loves to be petted and scratched. Maggie also knows her sit and down commands. If you are looking for an active older pup, stop by and ask for Maggie.